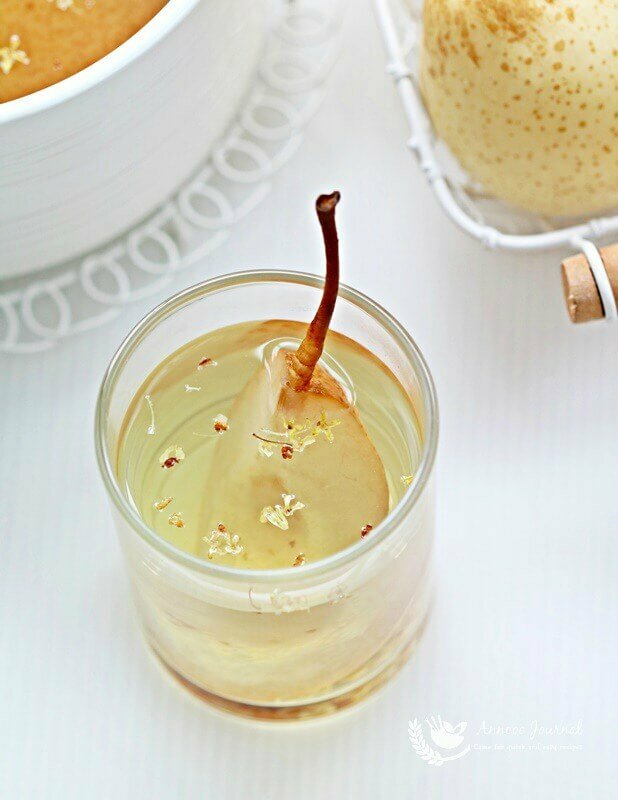 This pear tea with osmanthus is a delightful Asian dessert and quick to make at home. The boiled soft pear tastes perfect with a hint of osmanthus fragrance. 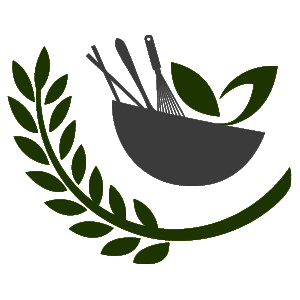 It’s best to serve this chilled, for your family to enjoy. 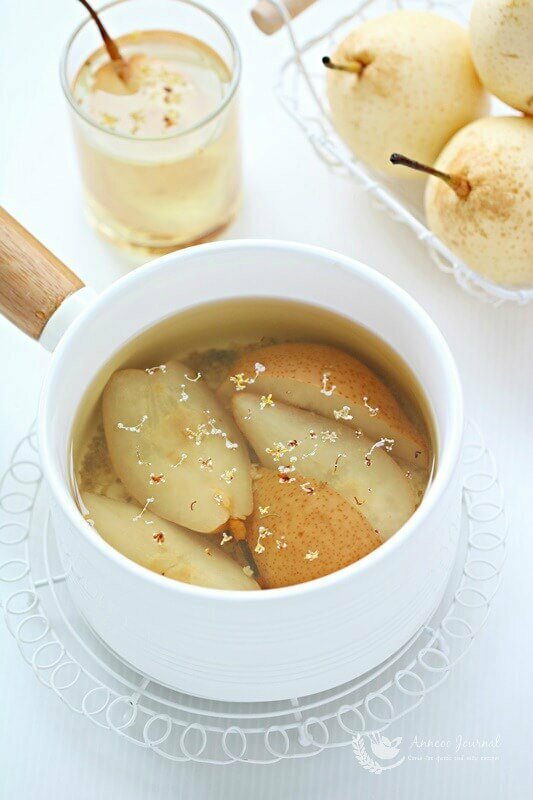 Ya Li pears are also known in Chinese medicine to be cool in nature. It clears heat and dryness by promoting body fluid secretion. They are also known to expel phlegm and ease cough. Rinse, cut pear with skin on into quarter and cored. 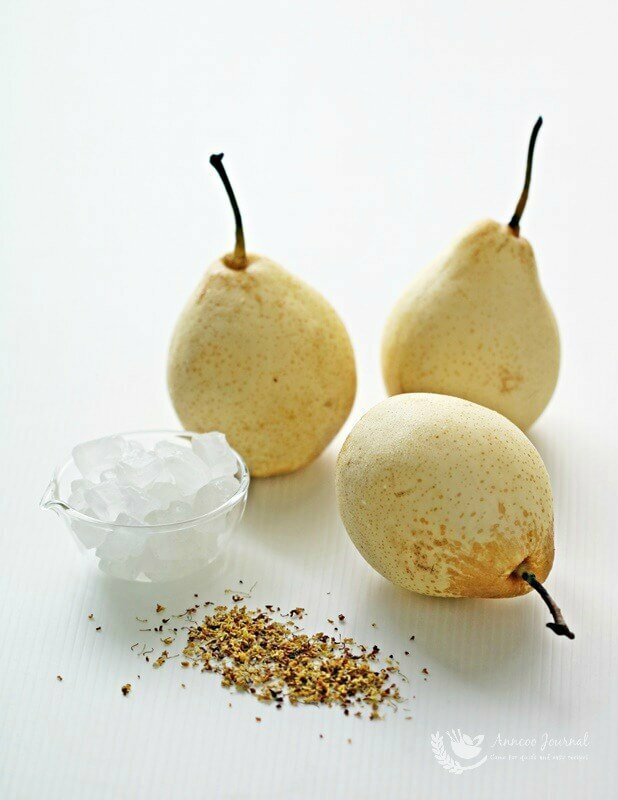 Place pears, rock sugar and water into a pot and bring to boil. Lower to medium heat and simmer for 20 minutes. Add dried osmanthus and continue to simmer for another 10 minutes. Serve hot or chilled. A light and very yummy dessert!